At this point in time, I think everyone can agree on a few things. Firstly, the media is hyping swine flu up to extreme extents, and very unnecessarily so. Secondly, a vaccine for a flu which is even less dangerous than the common flu is a stupid idea and a waste of money – but more specifically, to enforce it’s injection upon people is extremely unorthodox to say the least. This photo came up in a particular ATS thread, and I really like it. 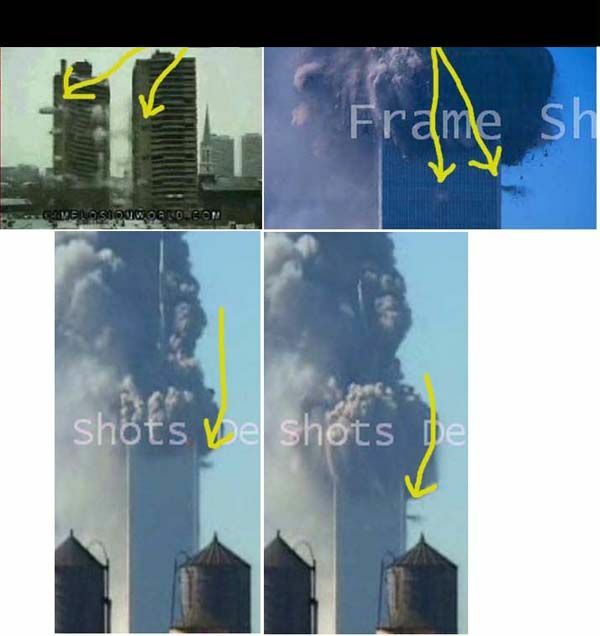 The photo on the top left is a sample controlled demolishion, and the other three photos are WTC collapsing. As I recall from my research, there are more photos of the explosives going off like that below the demolishion wave as well, however this image presents a very nice comparison. Anyone who doesn’t know who this great man is, should probably not even be reading my blog. I remember when I first heard about him, research him – and instantly thought he was simultaneously the coolest and greatest guy ever. Truly, if one wishes to become a scientist, that is where one’s aim should be. Getting to the point, an ATS member wrote a piece called “Nikola Tesla – The Forgotten Mysteries” in honour of his birthday which happened recently…and inconveniently when I was away.